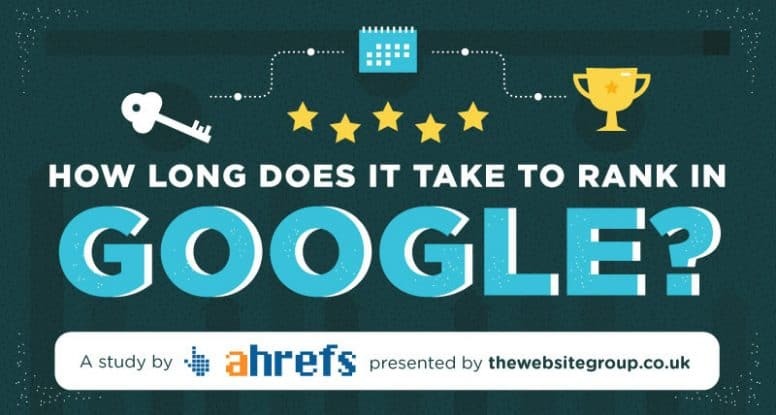 In a recent study by Ahrefs, The Website Group presented an infographic that explains the time, on average, it takes to rank for keywords on Google. We recommend taking the 2-headed approach. 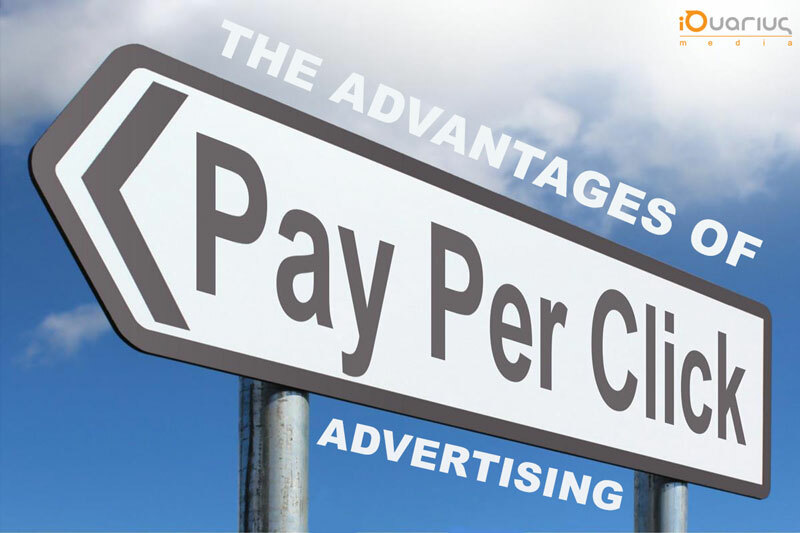 By using Pay-Per-Click & SEO together, you can utilize both for eaches advantage. 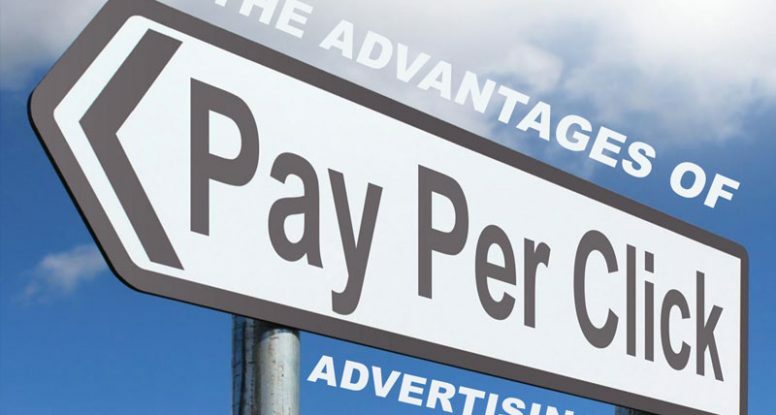 For immediate business, PPC will jump start your business presence and get you the leads you need to move your business forward. SEO will place you in the same places over a period of time and cement your rankings for the future and beyond. The average Top 10 page is 2+ years old. The average #1 ranking page is 3 years old. Only 22% of the pages created in 1 year are in the Top 10. Only 5% of new pages get to the Top 10 within a year and of that 5%, it takes 2-6 months on average. You probably already know what SEO is, and how this can be beneficial in your own business. However, do you know how to make SEO work? Creating a very effective tactic is where many questions and doubts come into. So, make use of these 5 tips for you to build SEO plans that will deliver great results. SEO has been designed to position the websites of businesses to their prospects or target audience that are seeking services or products. One of the most important things you should consider when you are building or creating an effective SEO campaign is to determine your audience. Aside from that, you also need to determine where they are located, and what are their ages. These things can all help you to find success in the next steps that you are going to take. When you have already identified your target audience, the next thing that you need to do is to identify your keywords. Search Engine Optimization can help you a lot when it comes to attracting your ideal clients or customers. Say, for instance, you are creating SEO campaigns for a dealership, and you want to remove pictures in your keywords lists, reducing individuals that are just searching for images or pictures of your dealership from clicking or seeing on your ad. A negative keyword is just as essential as the regular keywords you have. Make sure that you spend time building those as well. Another important tip for effective and powerful SEO is to focus on building quality links. Links are the major signal which SEO uses in determining search results. There are so many various components of Search Engine Optimization, however, link building has often been the most significant signal. Creating quality and effective content can increase the potential that other sites would naturally link to your own website. There are lots of opportunities for link building which you can make use of that will truly allow you to generate the highest quality and relevant links. Guest blogging and infographic marketing are an example. This is another important thing that you should consider when you want to create effective SEO. Make sure to spend enough time on checking your SEO content. Also, make sure that all pages on your site are properly optimized. Typically, when you don’t spend more time doing this, the result of your work will not be as effective to your target audience. So, always keep this in mind before you focus on other things. In monitoring the position of the keywords, use keyword tracking tools for better results. Also, you would want to make use of Google Analytics in determining where the traffic to your site comes from or how long someone is staying on your site or where they are visiting from. There’s so much information that is available that you can use. Try and take advantage of it all. 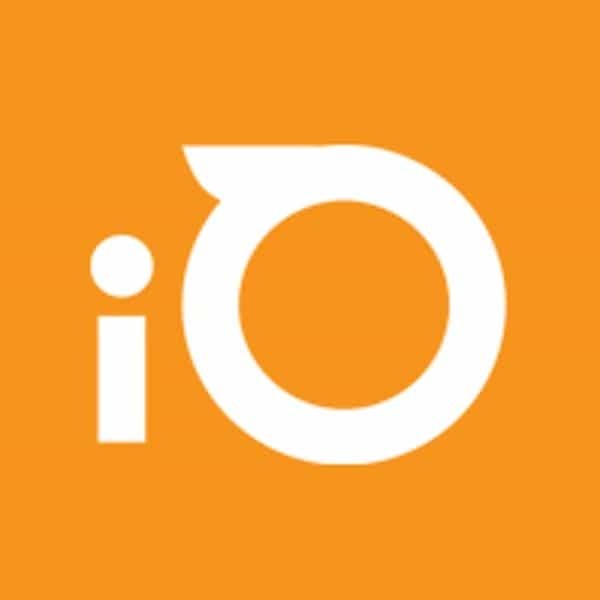 At iQuarius Media, we operate under the premise that every business, no matter how small or large, must have a well thought out and executed Internet strategy. We help define the goals where necessary and implement all of our various skill sets to help deliver a well-oiled online marketing machine. Ever since the Amazon Echo became a surprise hit product, mainstream audiences have been turned on to what those of us in tech have been excited about for a long time — truly useful, intelligent interaction with the technology in our midst. Advancements in IoT, wearables, and voice-controllable hardware like the Echo show how technology can be more than just things. They’re showing their potential to become an extension of us. Voice control has been biggest tech disruption on this front. Alexa, the cloud-based voice assistant that powers Amazon Echo, is the underpinning for the growing world of voice-enabled products and services. Since spring of 2016, iQuarius Media has become a prominent part of the developer-focused ecosystem that Amazon has built around Alexa with our EchoSim.io project. EchoSim, the Echo Simulator, was inspired by UK-based developer Sam Machin’s AlexaWeb project and developed for Amazon by iQuarius Media. The simulator lives on the web at EchoSim.io, offering hardware-independent access to the Alexa Voice Service (AVS). The site has become an active hub for developers as well as the Alexa-curious from around the world, whether or not they have access to an Echo/Dot/Tap or other Alexa-enabled hardware. EchoSim.io supports Amazon’s mission to get as many developers as possible into the world of voice design. It offers virtual access to an Echo with only a web browser and Amazon login credentials. With EchoSim, developers have tested their custom Alexa functions called skills; hackathons have demo’d hundreds of participant projects without needing a physical Echo; and corporate boardrooms have been able to sell the idea of voice control to stakeholders who may not otherwise have understood its value. Of course, it’s also fun to tinker with. It explains the many thousands of users who drop by EchoSim.io regularly to try commands out. User numbers have only ballooned since the announcement in September 2016 that Alexa would support UK English and German. From our vantage point, we have a unique view of the growing interest in Alexa. EchoSim’s popularity has grown in tandem. 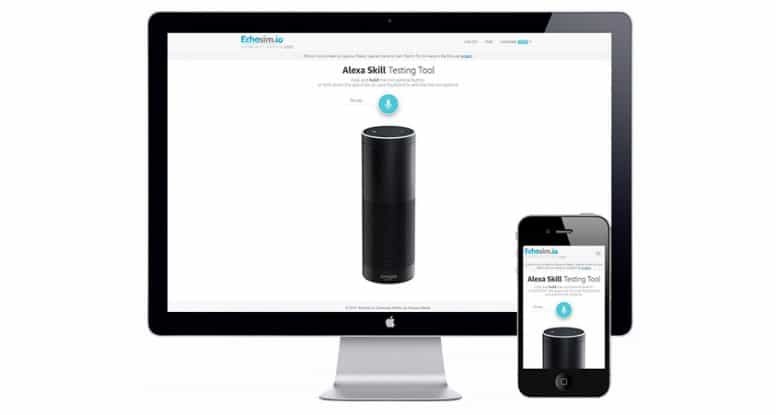 As more and more developers build skills, EchoSim has shown itself to be the most popular web-based Alexa testing tool that can mimic Echo’s visual feedback in addition to JSON responses. EchoSim has been featured at Amazon Developer, major tech blogs, and web magazines. Most recently, TechCrunch gave iQuarius a mention in their post about expanded language support in AVS. EchoSim.io is built on original code based on open-source and third-party modules. Our goal was to create a flexible, scalable base to make it easier to expand features and continually enhance the app. Docker containers make new versions portable and help us maintain an active update/expansion schedule without interruptions in service. In the front-end, Bootstrap gave us a solid framework and Jinja2 templates helped keep code tidy. Server-side handling of audio and HTTP/2 calls ensure we can offer better support for different browsers and devices, such as optimized audio for mobile delivery. Currently implemented Python libraries have support for server pushes, giving us room to tweak visual representations of interactions as EchoSim responds to AVS cloud-generated directives. Documentation, marketing, and responding to user feedback is part of iQuarius’s services for EchoSim, all done in collaboration with Alexa developer marketing teams. For questions about iQuarius Media’s services, including digital marketing, web media production, and app development, visit iQuariusMedia.com. By now you know the value of having a blog for your business, but you may not have the time to write one or any idea of what to write about. That’s where we come in. iQuarius Media is offering an ongoing competition to win a custom, professionally written blog post. We’ll take into consideration your target market, the voice of your brand and the keywords specific to your niche to craft a post perfect for your business. All that is required of you is an entry via the iQuarius Facebook page! On the 5th of every month, we will select a winner from the previous months entries and notify them by email. Within two weeks of our initial phone interview, the blog post will be delivered to your inbox. If you would like your business to be in the running, enter here. Any update from Facebook is usually met with resistance from users, and the recent announcement that they’re changing the way they sort the News Feed is no different. The switch from Facebook’s usual algorithm, EdgeRank, to new ranking methods, Story Bumping and Last Actor, has people asking why they can’t just choose what they see from their friends. The reality is that the average user has 1,500 possible stories a day filtered through their News Feed. More than anyone could hope — or want — to read. Facebook is constantly evolving it’s algorithms to make sure that the 20% of posts you do see are the ones you’re most interested in seeing. 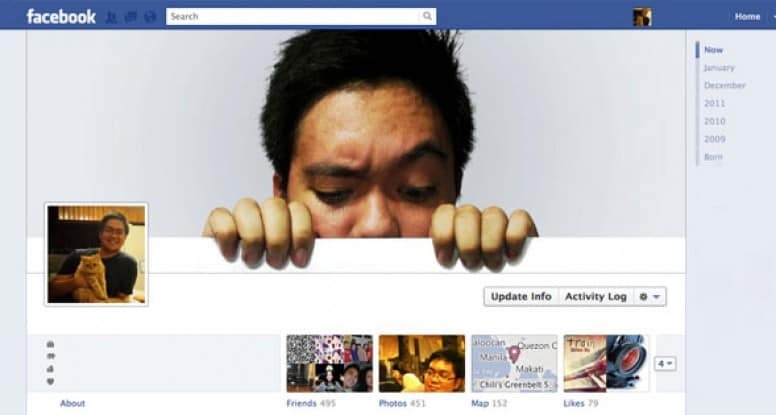 Story Bumping changes the way you view the stories on your News Feed. Each story is given a score, which, Mashable reports, are determined “using a number of factors, such as the relationship you have with the user who posted it, the number of comments, the number of shares, and the number of likes that the story has accumulated”. With Story Bumping, stories with a higher score that you may not have seen yet are found near the top of your newsfeed with newer stories. This way the posts that are relevant and of interest to you are not buried underneath more recently posted but less interesting stories. This is good news for users, as it’s far more likely that you wont miss the updates you care about. Facebook reported there has been a 57-70% increase in stories read since the updates were introduced. The other development is Last Actor. This feature takes into account the last 50 interactions you had on Facebook and ranks your News Feed accordingly. So if you commented on your friends post in the morning, your friend may receive a higher score and you’ll see more of their posts later in the day. This works for brands, too. If someone engages frequently with a page, it’s more likely that they’ll see that page’s content. This makes your News Feed highly curated towards your own interests. Anyone worried about not having their posts seen needs only follow one golden rule: don’t be boring. Interesting posts guarantee interaction, and interaction is what gets your posts seen by more people. Say you’ve come up with the perfect idea, but you want to wait until it’s absolutely perfect before you reveal it to the world – should you wait on building a website, too? Now is actually the perfect time to create a temporary website. In the beginning stages of your startup, you may want to limit the amount of money you pour into a not yet perfected idea. But you have to begin to think of your website as a constantly iterating piece of marketing collateral that can serve your business goals well. A temporary website allows you to advance your startup in a number of ways, not least of which is exposing it to potential consumers, without having to commit to building a full site. When you’re first trying to market your idea, the best practice is to have a one-stop place to direct people hoping to do a feature on you. A temporary website will allow you to host a press kit, founders bios, logo download, contact info and spec sheets etc. 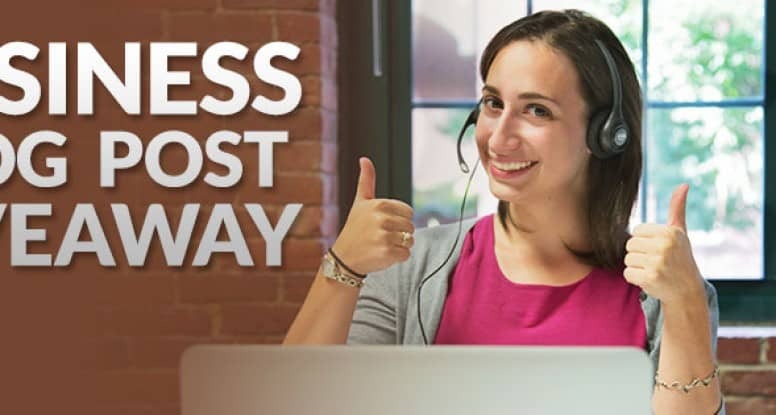 If you want to test the demand for, or interest in, a particular marketing message – or even your product concept – a single web page with your offer and an email opt-in can provide you with an informal list of potential customers demonstrating demand for order fulfillment. 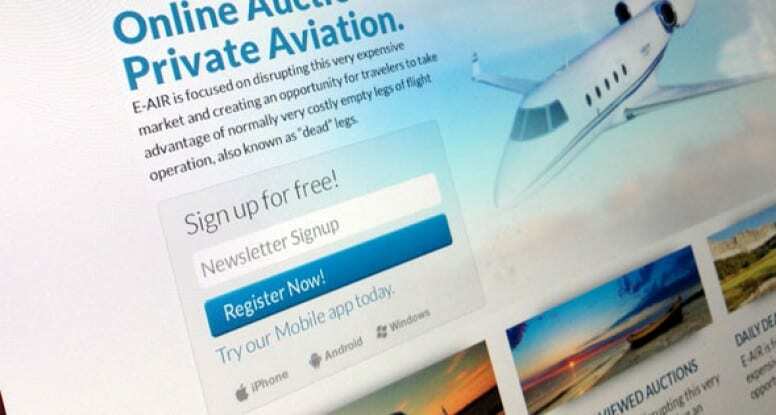 You can use this opt-in for people to name their price. Give them a single blank field to tell you what they’d pay for it. It then becomes something akin to a social letter of intent. Having an email opt-in page on your temporary website allows you to collect the emails of those interested in being part of alpha and beta tests, and of early adopters who want to know when your site will go live.. This way you have a number of invested people on which to test your product, and built in fans for when you’re ready to reveal your improvements. You want to be in control of the conversation surrounding your product or idea. Start by building anticipation so that when you’re ready to reveal, you already have an audience interested in what you have to say. Getting social shares, likes, and +1’s for your website content helps you to gain social proof and SEO authority. The more shares your content gets, the more established value you have the web. Having a temporary website allows you to get a headstart on establishing SEO authority for your permanent website. You want to leave a lasting impression on potential investors. While you can captivate them in a demonstration, they don’t know your product as well as you do. A temporary website allows them to access all the relevant information for your product. You have the option to create a non-public URL that hosts your pitch deck or demonstratable product and share that link with only those you wish to see it. If you want to capitalize on all these benefits, iQuarius media specializes in creating temporary sites with a quick turnaround time. Contact us today to get your startup started. The short answer is not yet. But that doesn't mean Bing is out of the running completely. While Bing's share of core searches, 17.4 percent, isn't in the same league as Google, who dominates with a 66.7 percent share, it is steadily rising. When compared to Yahoo's consistently decreasing 11.9 percent share, Bing is becoming what Yahoo no longer is: a search engine that is a viable alternative to Google. The problem for Bing has never been stealing audiences from Yahoo; instead, they have to figure out how to get users of Google to make the switch. Earlier this year, Microsoft attempted to sway users with Bing it On, which demonstrated Bing's effectiveness in comparison to Google (and ultimately it's similarity, too). While the company claims that people prefer Bing over Google for top web searches, the core search shares show that most people are still choosing Google over Bing. How Will Bing Sway Google Users? 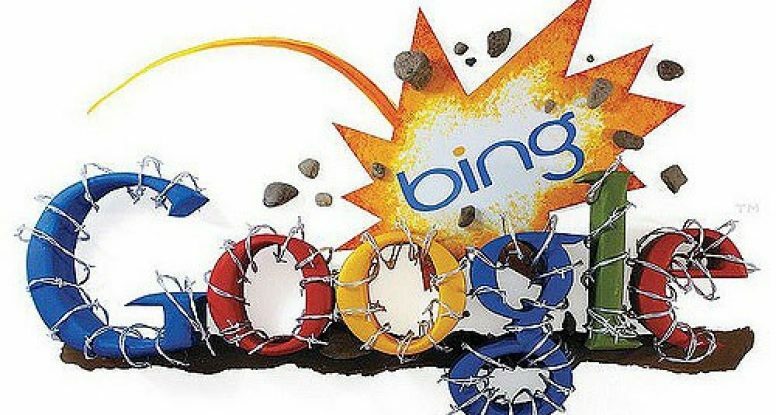 Two new developments may be the key to attracting more Google users to Bing. First, Siri is now using Bing as it's default search engine. 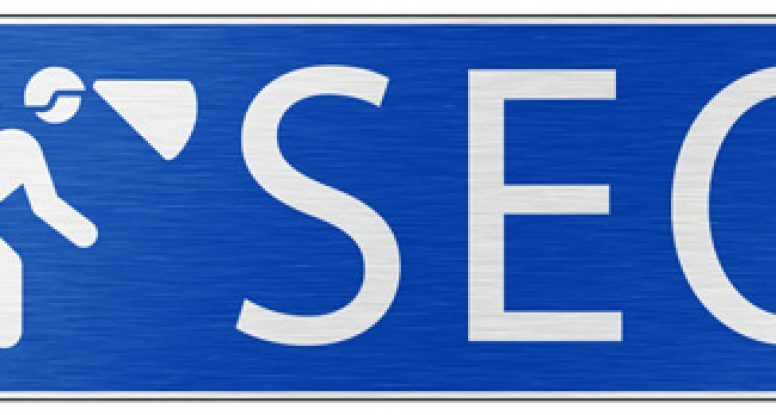 While Apple is not committing fully to Bing – Google is still the default search engine for Safari – the switch does allow more users to be exposed to Bing. Although, they will be exposed unknowingly. There is no branding when you do searches on Siri, and this may be a way for Apple to ease into using Bing without causing user upset. Most likely, Apple is trying to avoid a repeat of the Apple Maps fiasco. Still, the integration of Bing and Siri is a good exposure for Bing. The second development is the incorporation of Bing into Windows 8.1. The new capability means that Windows 8.1 users can simultaneously search their hard drive and the web. The key for Bing was keeping results relevant. NBC news reports that over time the system applies dynamic ranking to your results, based on your prior clicks, just like when you search the Web. Another revolutionary aspect of Bing's approach are the "Hero" pages. When you search certain people, places, or things you get a side-scrolling page of local files, streaming media, news and background information. The integration of Bing directly into Windows makes the line between what's on your computer and what's on the Internet harder to define. Time will have to tell if this is a development that significantly closes the gap between Bing and Google, but the exposure certainly can't hurt. What search engine do you use most often? Do you use one outside of the "Big 3" (Google, Bing, Yahoo!)? Chime in on our Facebook page or @mention us on Twitter. When you hear Pinterest, the first thing that comes to mind is often pictures. But the content sharing service lends itself to all visual mediums and there are thousands of videos on Pinterest, too. With over 25 million users, brands recognize that engaging content can lead to purchases -- especially as 81% of U.S. consumers trust information from Pinterest. 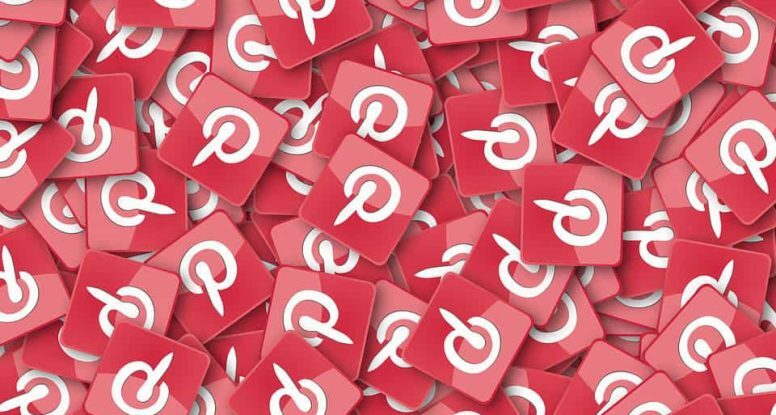 While you can share your video to Pinterest immediately after uploading it on Youtube, what happens if you created your Pinterest board some time after you uploaded your video? 1. Log into Pinterest, click, into Pinterest, click, the add button, and then scroll down to "Add from a website." 2. Next you will need to copy the url of the video you want to use from YouTube and paste it into the "add a pin from a website" box that shows up. 4. Fill out your description using hashtags and pin it! As you can see, the steps are relatively simple. For a free review of your social media efforts to date and a plan on how we can assist you in your online social media management, Contact us today. Brands are becoming increasingly more active on the new social media app Vine and for good reason. 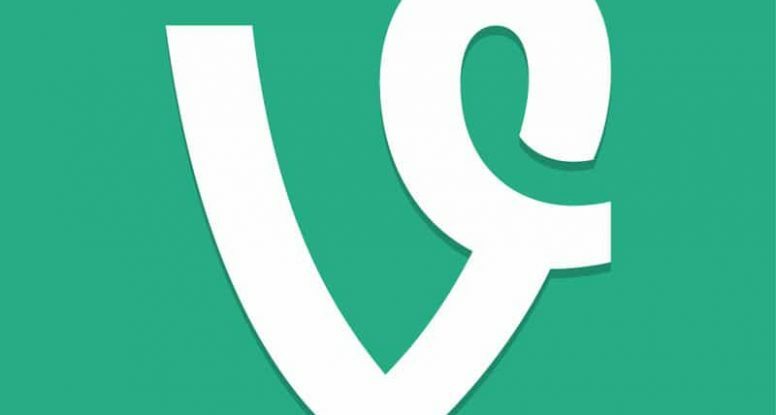 Unruly Media, a video technology company, recently found that branded vines are shared 4x as often as other branded Internet videos. 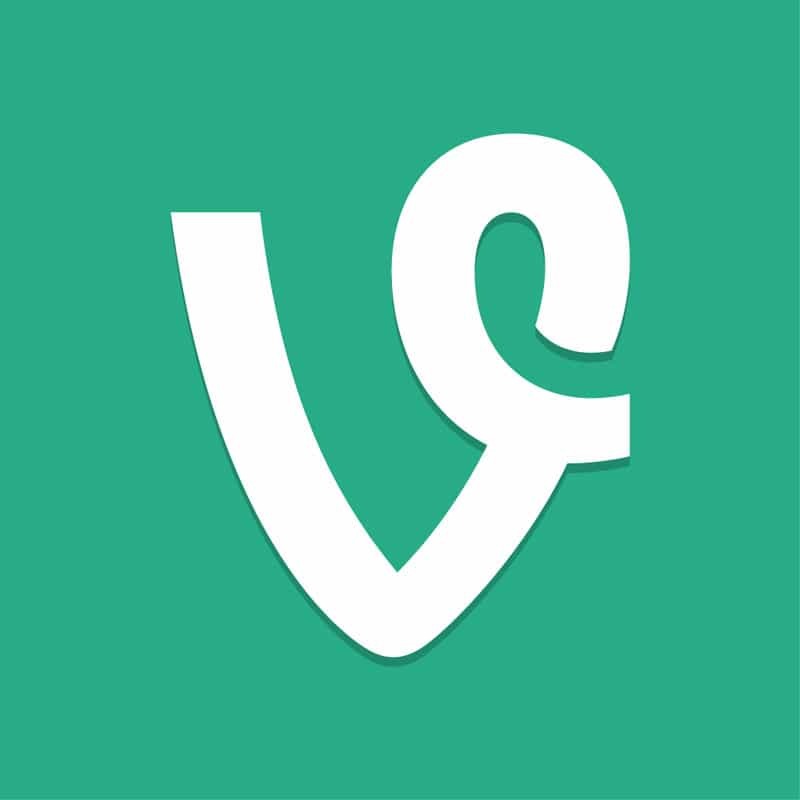 Branded vines were also 4% of the top 100 shared vines. This is almost unheard of as most viral videos are not connected to brands. The platform allows users to create six-second looping videos. The apps brevity, like Twitter, encourages brands to get creative while appealing to consumers rapidly shrinking attention span. There is nothing like the power of video for communication, and the Internet is a more effective vehicle for delivery than any other outlet available. iQuarius Media is an expert in every step of creating videos that deliver. To discuss how our Web Video Production and Delivery team can help you, contact Shea Glenny at shea@iquariusmedia.com.